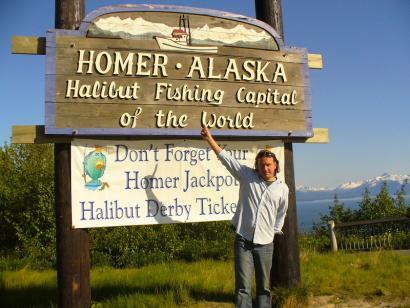 Arrival in Homer, Alaska for the annual Homer Halibut Derby - June 14, 2007. A napkin drawing...hot off the press. Ellis Paul with a few of his Devotees.